Our hinge systems are used in countless applications, especially in the’white goods’ sector, worldwide in a wide variety of variants and designs. Our hinges ensure horizontal or vertical installation in doors or chassis and are therefore fully glass-compatible. Our force-controlled solutions can be integrated almost invisibly into small chassis or doors. The perfect balance is ensured by dampers for soft end positions and the intelligent force control ensures easy opening with low resistance. For example, oven doors do not have to be dismantled for cleaning. 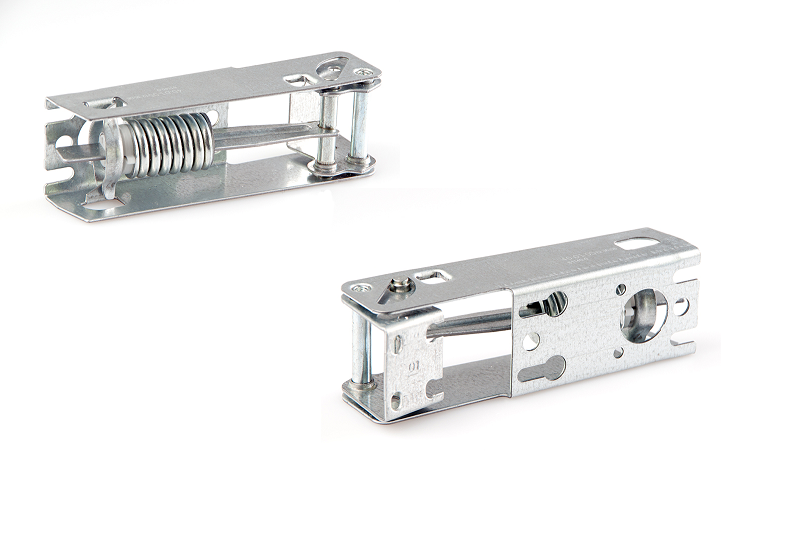 In addition, our hinges are heat-resistant and can support loads of up to 30kg. Hinge solutions with up to 100,000 movement cycles are available on request. 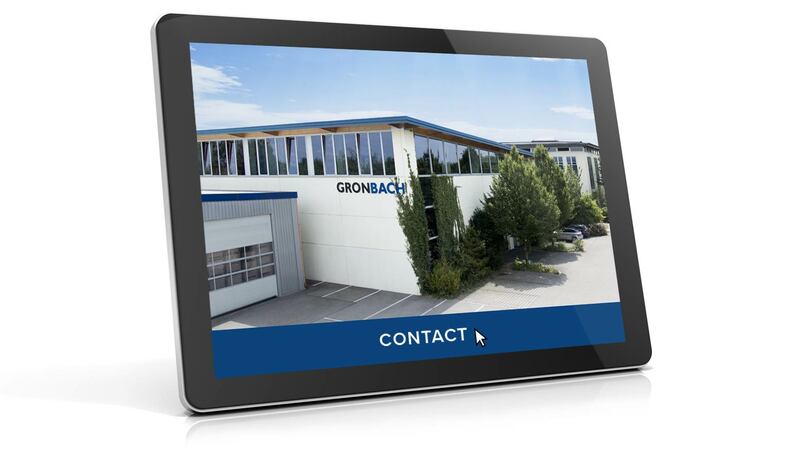 As an experienced specialist in kinematics, we are constantly developing completely new solutions for our customers. We adapt kinematic components exactly to your specifications and offer you force-controlled solutions of any projects. The S58 hinge combines optimum power transmission and angular position and is characterised by particularly quiet running and a long service life – and this for more than 50 years. 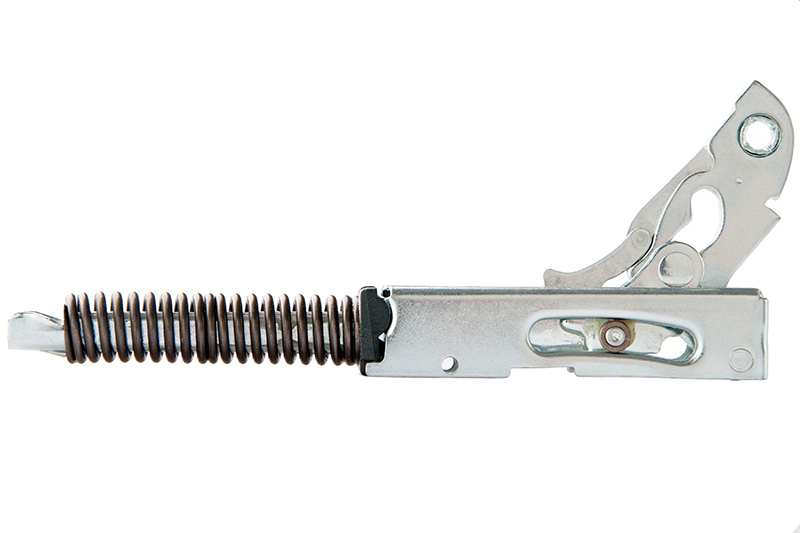 Our basic hinge S58 was additionally equipped with an adaptive damper for additional operating comfort.. The G1 curved hinge uses track and force-controlled kinematics which are controlled by the curved path. In this case, the force is transmitted thru a spring, so that only this has to be adapted to the weight of the door and not the complete hinge. Well-known household appliance manufacturers have been swearing by this mechanism for many years. Our curved hinge G2 is characterised by a torque curve which is controlled by the turning movement and adapts perfectly to the oven door. The force is transmitted via the spring. So, for example, so-called ‘grill stops’ can be implemented and the oven door itself feels ‘weightless’. All this distinguishes our smartcurve® technology. 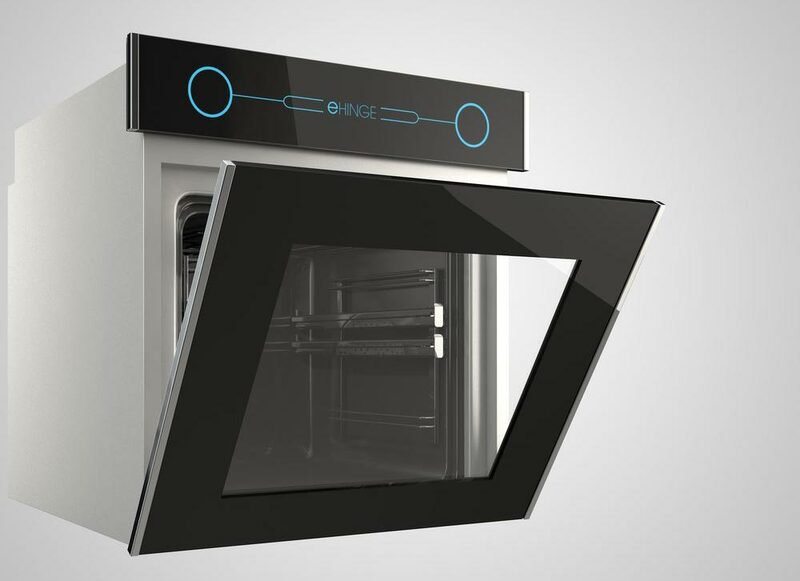 With the innovative ehinge hinge, the oven door can be opened via an electromechanical drive by simply touching the sensor surface, e.g. via the elbow, so that the hands can remain free. In addition, baking oven doors can be opened manually using the servo support of an ergonomic opening process on the handle. Another highlight: In conjunction with a special baking program, the oven door opens automatically after the cooking process to ventilate the food – without touching it! The opening and closing process can be operated and programmed as desired without handles using the operating button, remote control or app. Ideal for the modern kitchen.